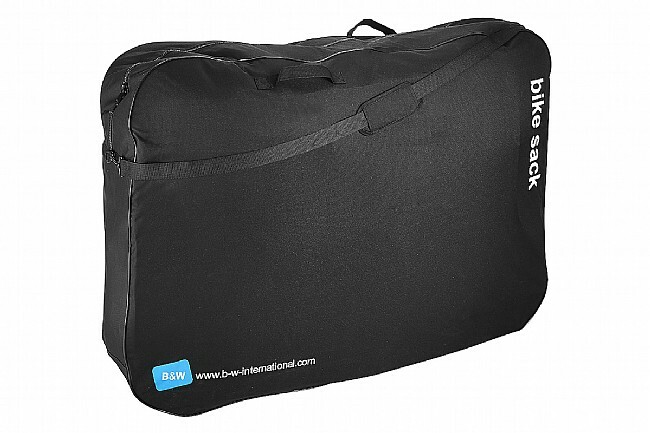 B and W International's Bike Sack is an extremely durable and protective nylon bag designed for transporting a bike by train or car. It's made from robust nylon with two inside pockets that hold the wheels. 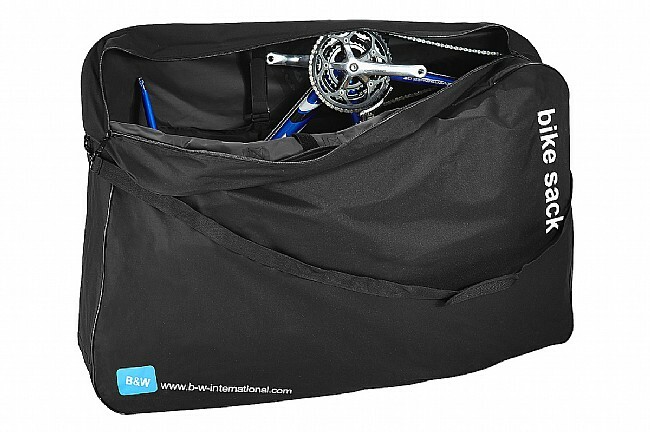 A three-way lockable zip secures the bike, wheels, and other contents for worry-free traveling. Four handles and a removable, adjustable shoulder strap provide multiple carrying options for easier portage from point A to point B. Please note: not recommended for airline travel. Interior Dimensions: 1200 (L) x 850 (W) x 240mm (H).